Last month, Eurosea13, the 13th European Sea Scout Seminar, was held in Puck, Poland. Every two years, this event brings together Sea Scout Leaders from across Europe, whose common interest is to network, exchange latest programme developments and address challenges they face in their work on local or national level. 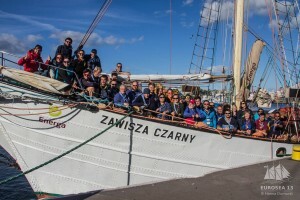 46 Seascout Leaders came together for five days at the National Sea Scout Centre (Harcerski Ośrodek Morski w Pucku) of the Polish Guide and Scout Association (ZHP, Związek Harcerstwa Polskiego) in Puck on the Baltic Sea coast (near Gdynia). 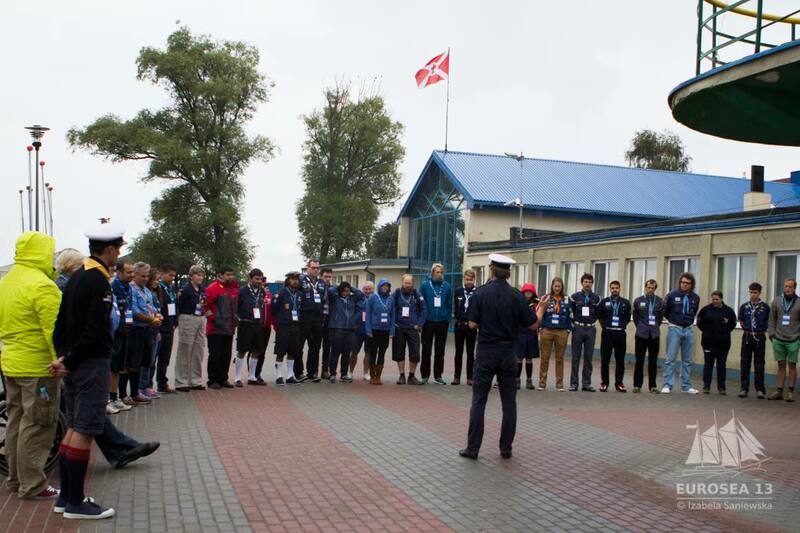 The represented the Sea Scout Movements from 16 different countries in Europe (Austria, Belgium, the Czech Republic, Denmark, Finland, Greece, Ireland, Italy, the Netherlands, Poland, Portugal, Slovakia, Spain, and the United Kingdom) as well as guests from the Asia Pacific Region. A good mix of training and sharing sessions as well as practical workshops had been put together by the Odysseus Group and the Host Team from ZHP. The topics addressed included risk assessment for Seascouts (‘No risk no fun’), quality management in a Sea Scout Group (‘Quality & Sea Scouting), growth as well as strategy development. Apart from the Black Eagle, participants had opportunities to practice Sea Scouting on smaller boats and yachts in the company of local Sea Scouts. As part of business decisions the participants elected the new members of the Odysseus Group: Laura Simarro (Spain), Thaïsa van Speybroek (Belgium), Werner Strobel (Austria), Wiktor Wróblewski (Poland), Ernst-Jan Jacobsen (The Netherlands), and the new chairperson Kristine Clemmensen-Rotne (Denmark). The team will lead the network for the next two years and, together with a local Host Team, plan Eurosea14, which will take place in 2018 in Barcelona, in Spain. Further information about the European Sea Scout Network is available on the internet and on Facebook!